I was in hog heaven today. 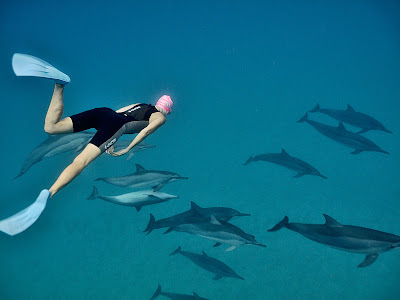 Not only did I get to swim with my friends, the Maui Pink Cap Swimmers, but I also got to swim with Spinner Dolphins. 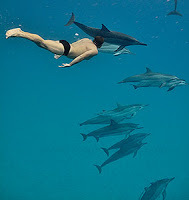 Better yet, I got to swim with them all at the same place and same time. What could possibly make me happier? Nothing! Click HERE for many, many, many more photos from this morning's swim. Aloha Don! Awesome photo of the swimmers. What a blessing to be with the dolphins and all your friends at the same time. We wish we were there to experience it all!